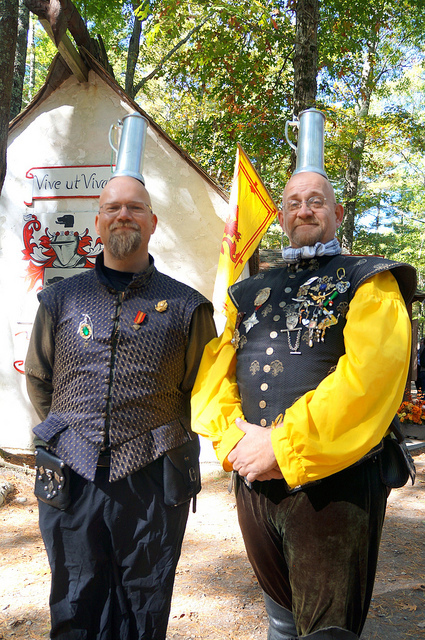 King Richard's Faire is the longest running Renaissance Festival and runs from August 31st to October 20th on weekends, plus two Mondays, Labor and Columbus Day. It is tucked away on eighty acres of forest off Route 58 in Carver, Massachusetts. 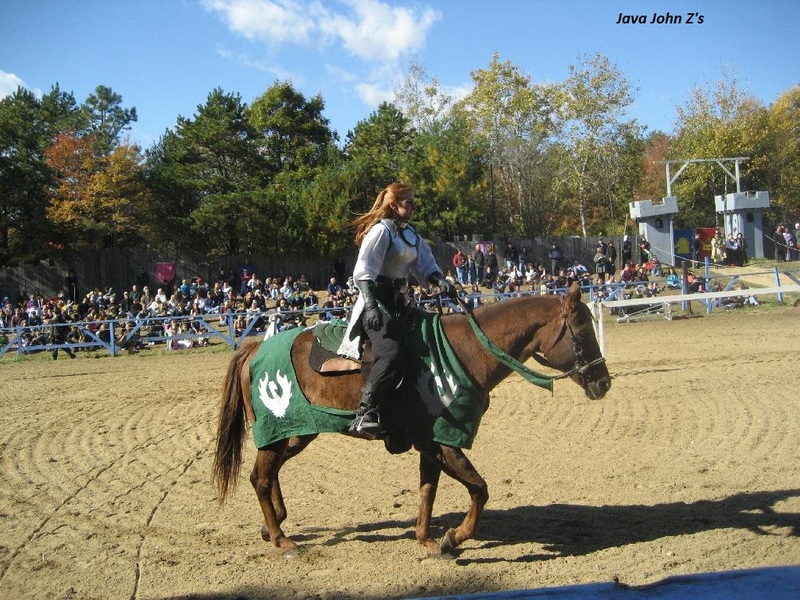 You get to enjoy live, interactive entertainment, including jousting, fire eating, and plenty of animals. Tickets run $28 each for adults (12+) and $16 for children's tickets (4-11). Under 4 is free. There is a $2 off coupon available, too. What we have here today is a giveaway for two tickets to the show. Specifically, the tickets are good for September 7, 8, 14, 15, 21, and 22. The giveaway is open to anyone 18+ who will physically be in Massachusetts to use the tickets. Please don't enter if you won't physically be in the area to use them and I will only mail the tickets to a US address. You have until 9/2 at 11:59 pm to enter to win. Disclosure: I received the above mentioned product and will be reviewing the event after my visit. No other compensation was received. All opinions stated are my own and may differ from yours. See my disclosure policy for more information. My daughters would love the Princess Academy. 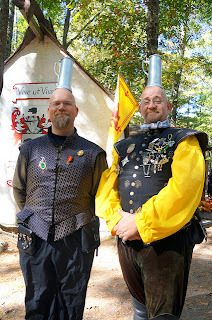 I love King Richard's Faire! The joust looks great. We went last year for the first time but missed that show. I love me some Jousting action. Would love to bring my 4 years old since his daycare is doing Knights/Kings Theme project! I've always been a huge fan of the Jousting competitions! Watch them every year and it never gets old. The comedy acts (often with audience participation) are a lot of fun! joust... to the death! i except ample blood let this faire season! Winner Winner, Turkey leg dinner? the entertainment act I always find interesting is the Tiger show! It's such an experience! I LOVE the washing well wenches and the mud show! One of my favorite places!! Sadly I haven't berb in years. .would Love to take my kids now that they are older! The jousting is always my favorite, my two youngest are really excited to go the faire this year. They are both huge fans of BBC's Merlin, and anything to do with nights. It's been a rough year for us, the Faire is just the thing we need. Jousting is still my favorite! Palo is the BEST. So glad he's back this year. Jacques Ze Whipper!!! Who can beat that fake accent and dashing smile? And talented with a whip to boot!! I look forward to KRF every year. It's fun to participate and I enjoy ALL the events and the fun of being there! The fire juggling act of Garbanzo Fire sounds great. I've seen similar shows before and they're definitely entertaining. The Mud Show and jousting are my favorite! The Honour for hire show looks interesting! Never saw it before. The Washing Wenches are SO funny! JOUSTING IS MY FAVORITE EVENT! I wonder what it would be like to joust? I always enjoy the Mud Show, but I know my kids would love the jousting and the magic show! The jousting is by far the most entertaining event!! Can't wait for the joust! I'm looking forward to the magic shows, personally. The Honour for Hyre Swordfighting looks interesting. Haven't been in years, might be time to change that. I love the jousting but every year my husband gets most excited for those turkey legs!